The San Diego Tourism Authority (SDTA) has launched a $19 million international ad campaign aimed at bringing more visitors to San Diego. 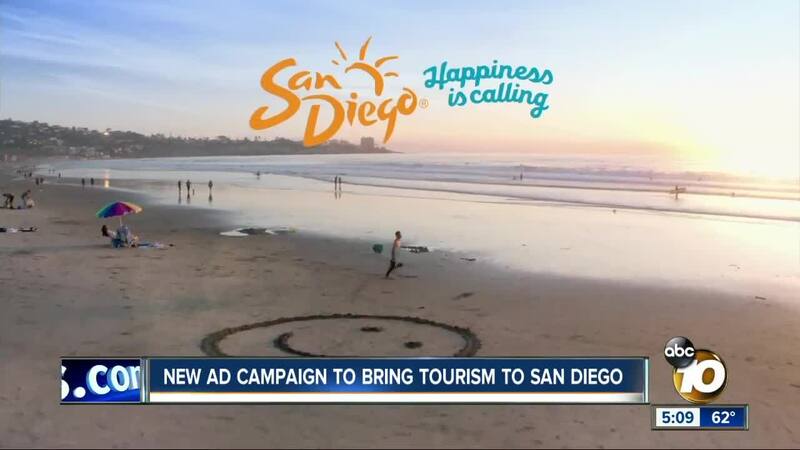 SAN DIEGO (KGTV) - The San Diego Tourism Authority (SDTA) has launched a $19 million international ad campaign aimed at bringing more visitors to San Diego. The new multi-platform “Something to Smile About” campaign highlights why San Diego is the place to be year-round for families and singles. The television commercials and digital ads feature surfing, hiking, biking, and several attractions from around San Diego. The advertisements are expected to reach people from across the U.S., Mexico, Canada and the United Kingdom this month, when potential visitors are making travel plans for the year ahead. Terzi said early numbers from 2018 show San Diego attracted 35.8 million visitors who spent more than $11 billion at local attractions, shops and restaurants. He said that resulted in a total economic impact of $18.6 billion.